Thomas Cook has provoked a major backlash from the Caribbean travel and tourism industry after attempting to discount outstanding invoices. Europe’s second largest tour operator has deducted 5 percent from all August and September arrival invoices issued to hotels across the Caribbean. A number of hotels across the region have been called by the company, which blamed a summer of weak bookings for imposing the cuts. The influential Caribbean Hotel & Tourism Association (CHTA), which represents 35 national hotel association members and their respective member hotels, says it is offering full support to its members that have been contacted by Thomas Cook. Hoteliers in Spain have also been hit with the same cuts to invoices, and have expressed their outrage against Thomas Cook, led by the Association of Hotel Owners of Benidorm and the Costa Blanca (Hosbec). Its president Antonio Mayor has accused the tour operator of “blackmail” and called for “a modicum of respect and professional ethics”. Meanwhile in the Caribbean, Sanguinetti has also sent a letter on behalf of CHTA’s members to Thomas Cook CEO, Manny Fontenla-Novoa, expressing the organisation’s concerns. “Tour operator contracts have been negotiated and are currently in place. Contracts are to be upheld by both parties and when this breaks down unilaterally it undermines the entire contracting system,” he adds. Jamaican-born, Sanguinetti, is one of the most respected and knowledgeable personalities in Caribbean travel and tourism. In 1998 was honoured with an Order of Distinction for outstanding service to Jamaica’s tourism industry, and the wider Caribbean community. Since taking up the top job at CHTA in 2003, Sanguinetti has set about leveraging all sectors of Caribbean travel and tourism to pull together to strengthen the region’s position as a leader in world tourism. Jamaica in particular has displayed its strength during the global downturn, and is currently spearheading the region’s recovery. The island recorded a 3.6 percent rise in international arrives in the first eight months of the year to 1.3 million. Minister for Tourism, Ed Bartlett, predicts that the total could reach 1.9 million by year end, which would be a record. 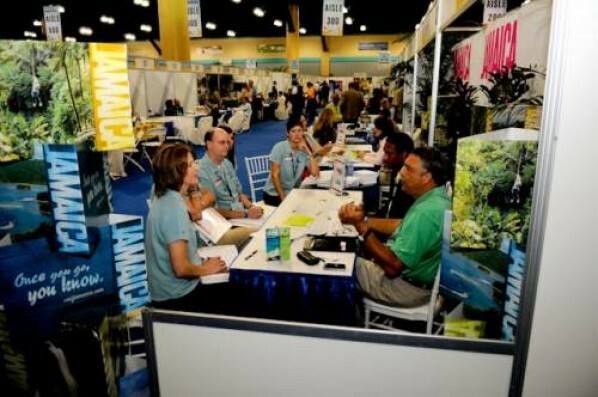 Jamaica Tourist Board chairman, John Lynch is equally bullish and is currently flying about 2,000 travel agents to Jamaica to get a first hand look at what it has to offer. Both Ed Bartlett and John Lynch have played pivotal roles in brining the World Travel Awards to the Caribbean next month. The prestigious event will be held at Sandals Whitehouse European Village & Spa, located on Jamaica’s beautiful south coast on 22 October. Leading travel companies, operators and destinations from across North, Central, South America and the Caribbean will meet under one roof as they battle it out to see who will walk away with the coveted World Travel Awards. 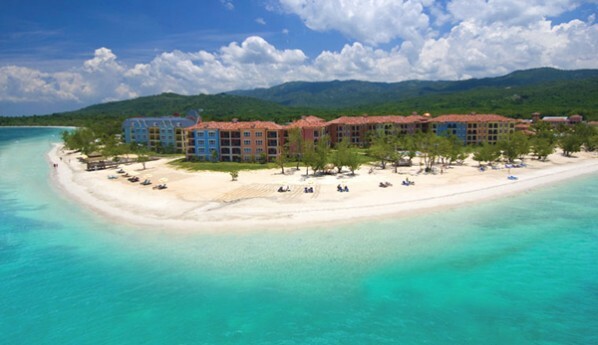 “We are thrilled to be hosting the World Travel Awards Americas Gala Ceremony at Sandals Whitehouse,” said Sandals Resorts Founder and Chairman Gordon “Butch” Stewart. Described as the ‘Oscars of the travel industry’ by the Wall Street Journal, the event – now in its 17th year – is universally recognised as a major champion of excellent customer service, encouraging and inspiring products and services to improve business performance and innovation. The Americas Gala Ceremony 2010 winners will be announced at the Annual The Americas Gala Ceremony.